🌿 🎨 The world beyond #1 – Hidden within the mountains. It is time to create a new world among my imaginations :D. This time inspired by one of my favorite seasons (although many people prefer not to have to endure it more than 2 months a year) I love winter: the snow, the crystals created in the mornings, the strange white landscapes ... and also , the fact that living in a tropical country I have not experienced snow more than twice in my life :(. 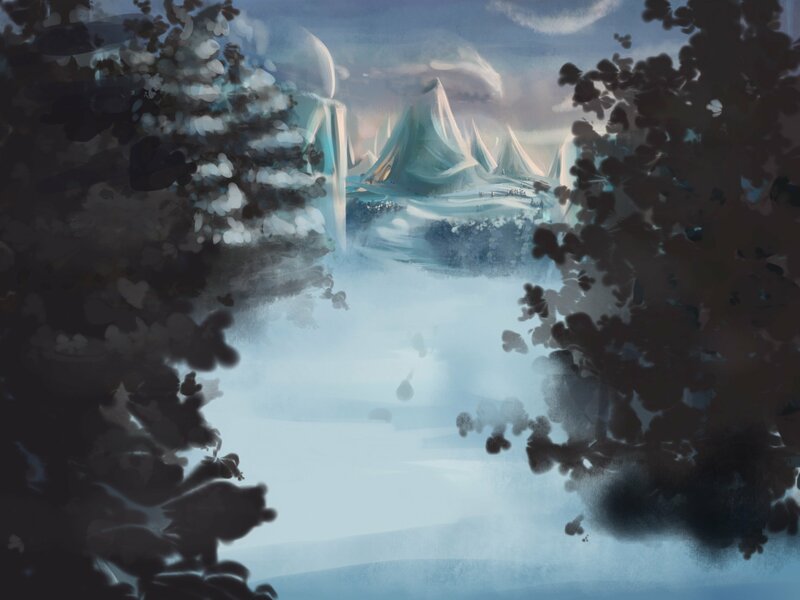 A hidden landscape between the mountains, where the snow never ends and where nobody will be able to reach, or maybe not exactly nobody .... Why these mountains will you have these forms? And what is the biggest of all hiding inside? As such the idea is not finished either, just missing something extra ... but that will go for another post ;). At first, I had an idea in specific, but still I kept my mind open enough to change it as I worked. My first plan was to make a forest hidden in the night, but it was ruled out as I thought that a completely open area would be better. 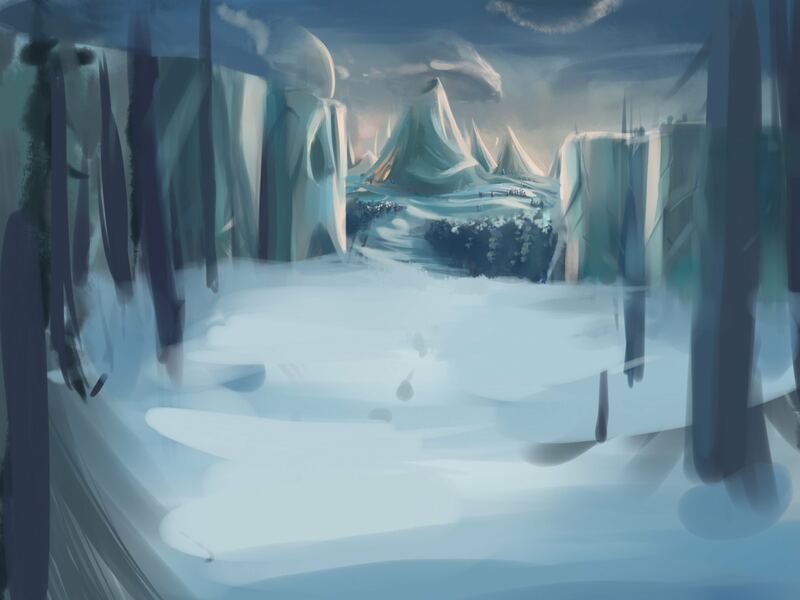 As always, I start by seeing how the composition and base colors work. 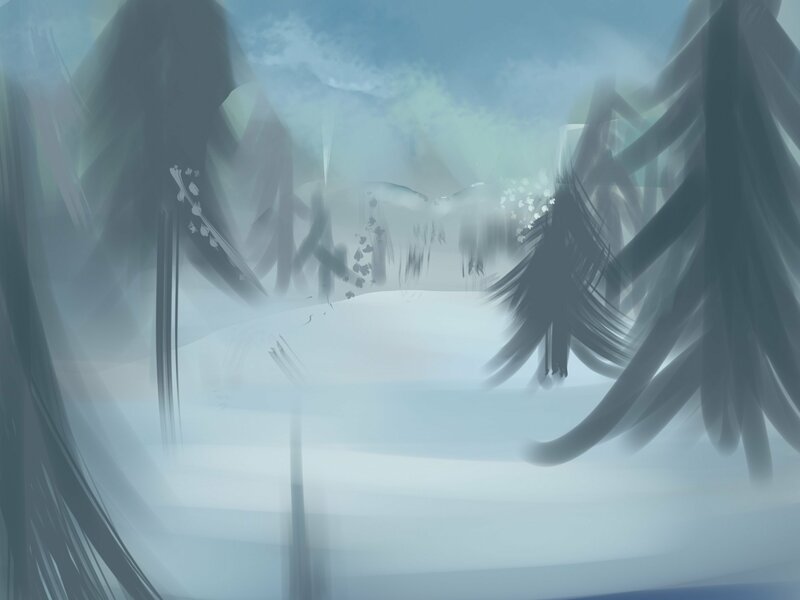 When working with landscapes, it is good to take into account the differences in values of the closest and farthest areas (although I’m still practicing that too): if the closest area is lighter, the areas that are farer will get darker and darker, or the other way around if the closest area is dark. Once I finished with the furthest area, it was time to start with my forest. 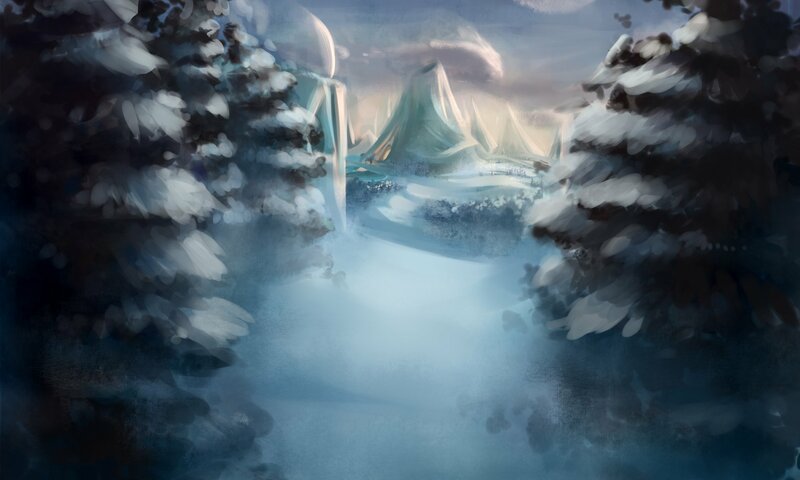 I thought that making a forest would be a good idea, it would help to focus the view even more on the mountains, as well as give a little more life to the work. Actually, I wanted this work to show an environment and a couple of interesting characters. 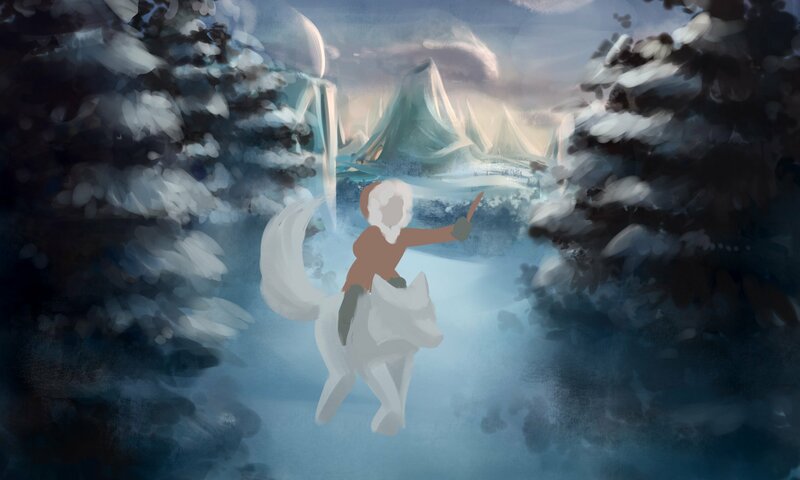 Even if the second one is still not ready, the background itself is already finished; and in the end of the scene would be of a girl with her friend exploring the forest looking for something umm ... What would it be? It's still in work and I plan to finish it soon. For people wondering: Behind the paywall is a .gif compiling all the processes, looks kinda neat.